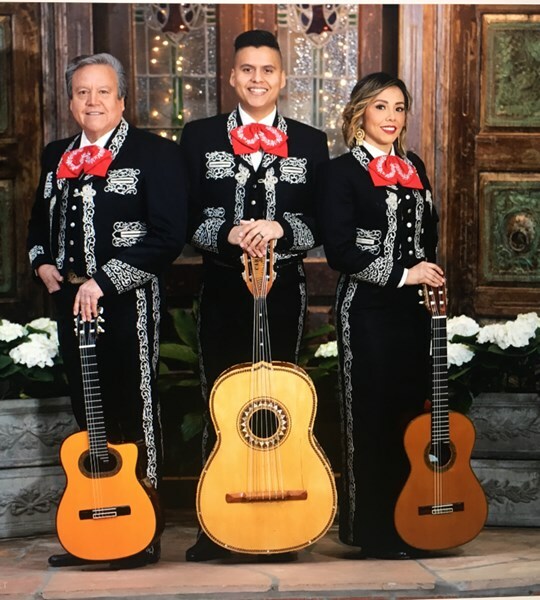 Trio Mariachi Los Salazar was founded by Ruben Salazar in 1996. They are a family band; father, daughter and sons. They have appeared in numerous T.V. shows: “Primera Edición,” “Cuanto Cuesta El Show,” “Noticias Univisión,” “¿Qué Pasa Con José Vargas?” and many more. Moreover, Trio Mariachi Los Salazar was requested to perform at the White House for President Bush himself in 2006 for a “Cinco de Mayo” celebration. In 2008, they were the opening act for the well-established singer Paquita La Del Barrio at the Gibson Amphitheatre. They also performed in the Golden Eagle Awards, sharing the stage with internationally-renowned singers José Feliciano, José José, and Viki Carr. On December of 2018 they performed for comedian Gabriel Iglesias. On February the 13th of 2019, they were invited to perform at the Anaheim House of Blues for Mexican Rock Band – Caifanes as a Birthday surprise for one of their members. Their repertoire exceeds over 1,500 songs and they will strive to make every accommodation to meet the client's needs. Ruben Salazar, the founder and father, began his career as a musician at the early age of eleven back in Mexico in 1966; he started singing and playing the guitar in transportation buses, corner-taco stands, and bars at the age of 12 in Mexico. As the years went by, Ruben learned from many accomplished Mexican musicians and eventually became an accomplished musician himself appearing in palenques regularly and on Mexican TV prime time. In 1986 he came to the United States wife and two kids Carlos Rubén & Azucena. 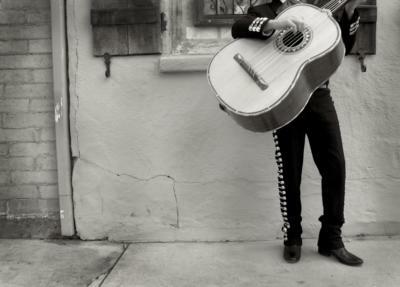 Currently, he is a singer and the lead guitarist for Trio Mariachi Los Salazar. 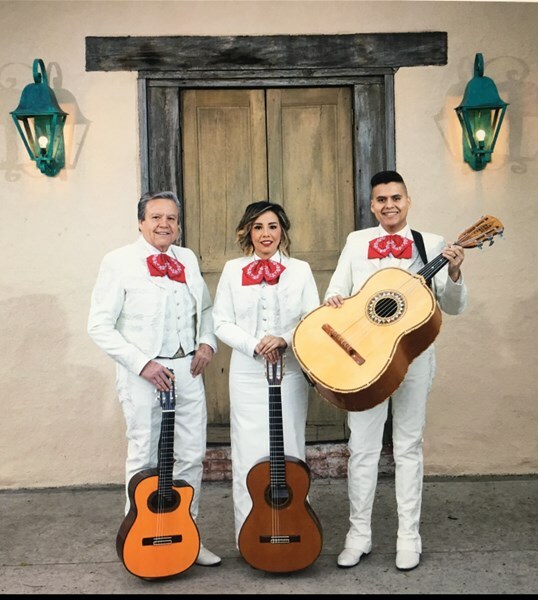 Azucena, also known as Suzie, started playing the guitar at the early age of 10 and joined her father and brother Carlos in 1997 to form Trio Los Salazar. She participated in the National T.V. show, “Objetivo Fama 2005” where she was 1st place Runner Up out of thousands of participants! Azucena even protagonizad a music video with Mexican Celebrities “Paquita La Del Barrio” and “Ezequiel Peña.” In 2007, she was signed by Machete Music, a subdivision of Univision Music and released a solo banda album titled “Azucena del Campo” where she did a spanish rendition of the Bon Jovi classic This aint a love song. She has also appeared on the T.V. shows “Escandalo TV,” “Sábado Gigante,” “El Gordo y La Flaca,” and “Despierta America.” Currently, she sings and plays rhythm guitar with Trio Mariachi Los Salazar. Rigoberto (Rigo), is the the youngest member of the trio. He began learning music in 2004 at the age of 14 from Ruben and from his brother Carlos. In June of 2016, Rigo became the official third member of Trio Los Salazar. His older brother Carlos substitutes for him from time to time. Currently, Rigo sings and plays guitarron (mariachi bass) for Trio Mariachi Los Salazar. Carlos started learning music at the age of 10. He has studied music with very accomplished musicians Dr. Bill Cunliffe, Mark Harrison, Jeffrey Siskind, Bruce Babad, Dr. Joseph Jewell, Ron Eschete, and Dr. Brian Kehelenbach. He began performing professionally on guitar at the age of 12 with Ruben as a duet; a few years later, when Suzie joined the duet, he switched to guitarron, and played guitarron with Trio Los Salazar for 19 years up until June 2016. Currently, he is the musical director and booking manger for Trio Mariachi Los Salazar. He substitutes on occasion for Rigo on guitarron. The most talented Mariachi Band I have seen. They were beautifully harmonious, accommodating and just splendid. I will be 100% using their services once again! Los Salazar was wonderful. They understood exactly what we requested - festive, but not loud, traditiona/old school ranchera/mariachi music to serve as background at our Pops Celebration of Life event. They were on time, well dressed, polite and excellent musicians. Everyone loved them. We would definitely use them again! Los Salazar were the high point of our birthday party for my 90 year old mother. Their music, talent & rapport with the our guests was awesome! Many people asked for their card. Everyone was delighted to hear their family story, which also endeared them to their audience. It was a pleasure to have them, and we would definitely hire them again. Suzie was very articulate as the spokes person for the group!!! ?????? Thank you for your kind words Suzie. It was a pleasure and honor. Los Salazar were very professional from the moment I called to inquire information. The guests at my reception were very pleased with Los Salazar. They were very professional from booking to performance. I would recommend them or book them again. My family and I were very pleased with the professional musicians performance. Well played and by all the means, great accommodations on the request songs my father made which were unique classics on trio music. I truly recommend this Trio and most of all, beautiful family Trio. I will definitely hire them again. Thank You "Los Salazar"! Thank you for giving us the opportunity to be part of your family gathering! Los Salazar, simply the best! You cannot go wrong in selecting this group for your event, I will definitely hire them again. Our guests were amazed with their talent, beautiful voices and professionalism. Two of our guests were professional musicians and they even commented how good they were. Carlos is very easy to work with, we had a certain style of music for the mood we wanted, and that is exactly what we got. They never repeated a song during their 2 hour performance and they were the hit of our party. Los Salazar exceeded my expectations. They were very professional, on time, very talented, very entertaining, and a pleasure to work with. I will definitely work with them again. I was so pleased with the Trio Salazar! What can I say about them? The words, classy, Beautiful, Talented come to mind. Everyone in the room kept asking me, "Where did you get these guys? They are really good!" I would highly recommend them and would use them again! Thank you Salazar family for making my daughters wedding such a beautiful one! This is by far the best mariachi music I've ever heard live! This talented family is amazing. I have no words to describe how good they are! They were on time (30 minutes early) and they knew every single song we asked for! Everyone said great things about them! Thank you! ¿Por que es tan cruel el amor? Please note Los Salazar will also travel to Orange, Tustin, Garden Grove, Anaheim, Fountain Valley, Irvine, Aliso Vajeo, Costa Mesa, Midway City, Villa Park, East Irvine, Huntington Beach, Newport Beach, Westminster, Atwood, Placentia, Stanton, Balboa Island, Fullerton, Balboa, Buena Park, Corona Del Mar, Yorba Linda, Brea, Cypress, Lake Forest, Sunset Beach, La Habra, La Mirada, La Palma.